This week an abandoned lorry was found in Austria, inside were the bodies of 70 people including women and children, 70 people trying to get to the safety of Europe. If we ignore this situation we are no better than Nazis who deliberately killed Jews in transport wagons. This week another 300 people drowned off the coast of Libya adding to a deathtoll that is genocide, that is mass murder of the most desperate and vulnerable people. Our disgusting governments address this tragedy by putting money into erecting more fences for Fortress Europe. And by sending the British navy into the Mediterranean. The psychopathic puppets who act as our governments are behaving no differently than the Nazis. The United States under this serpent of a puppet-man is hell bent on destroying Syria. Just as the previous incarnation of evil, Bush and his British psycho-friend, Blair destroyed Iraq, just like Cameron and Obama and Sarkozy destroyed Libya. NATO bombing Libya to hell and damnation so that the NATO funded and created so-called -Islamic lunatics could move in and perpetuate war and terror in oil rich regions of the world. We are governed by Nazi psychopaths who do not even understand what it is to be human. Not once, NOT ONCE, do these EU, UK, USA leaders address the real issues that are creating this crisis. Not even bloody once! If you want to stop poverty in Africa, you create jobs and industry and development. You create interest-free loans so ordinary people can start enterprises, you build infrastructure and factories just as the Chinese are now doing. You do not issue debt laden IMF and World Bank loans to further cripple economies. You do not give so called foreign aid to countries like Rwanda and Uganda so their despotic rulers can have Africa`s best equipped war machines so they can commit genocide in the DRC on your behalf. 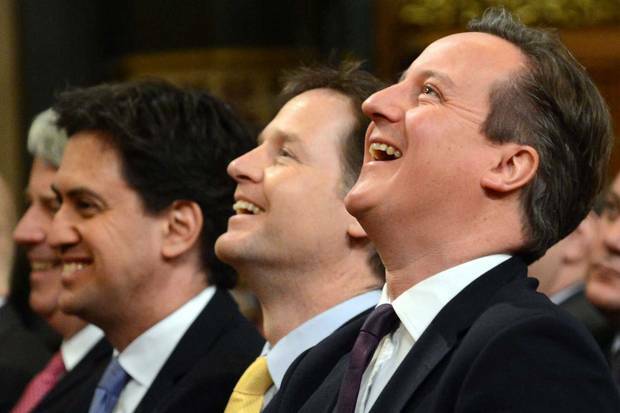 The British Parliament voted NO to armed intervention in Syria. Despite this we now find UK fighter pilots bombing Syria. 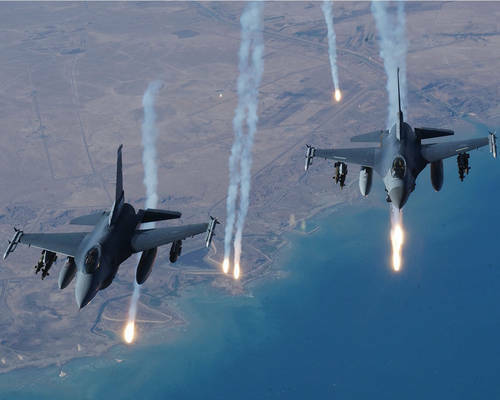 The US -led coalition says it is bombing ISIS. 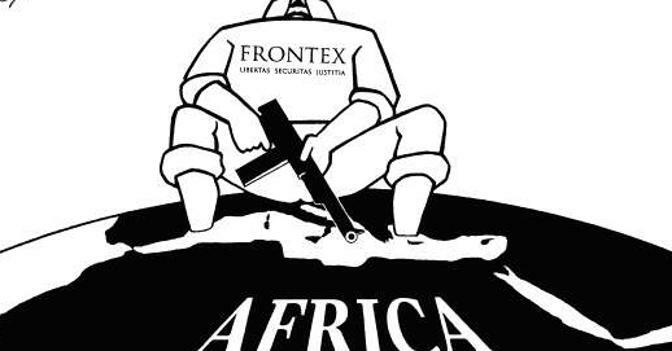 This freakish movement has morphed from Al Qaeda and Al Qaeda was created by UK/USA intelligence. That is not a state secret – British politician Robin Cooke said that one month before his mysterious heart attack, many years ago now. The psychos in charge have created ISIS/Al CIADA to be an excuse for perpetual war and destabilization. They want President Assad dead so they can have their gas pipeline from Qatar and total control of the Middle East. An online campaign launched by a Norway-based activist has raised over $100,000 and counting for a Palestinian-Syrian refugee, after moving pictures of him selling blue-capped pens on the streets of Beirut with his daughter’s head on his shoulder appeared online. Founder of Conflict News, Gissur Simonarson, posted pictures of the Syrian and his daughter on social media on Tuesday. The move triggered an outpour of support for the refugees’ plight. Simonarson, who is originally from Iceland, was overwhelmed by requests to help Abdul Halim Attar, a single father of two from the Yarmouk refugee camp located on the southern outskirts of Damascus. 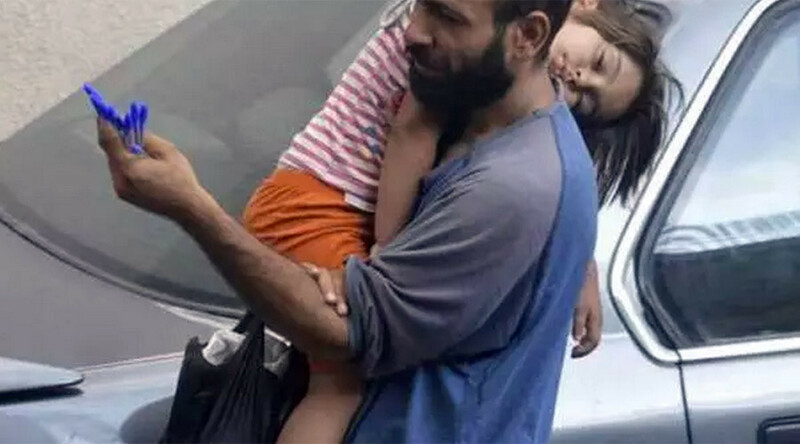 The picture shows Attar selling pens in Lebanon’s capital Beirut, as his 4-year-old daughter Reem sleeps in his arms with her head resting on his shoulder. Simonarson got in touch with local activists, located the man in the picture, and launched the campaign along with a Twitter account, #BuyPens. 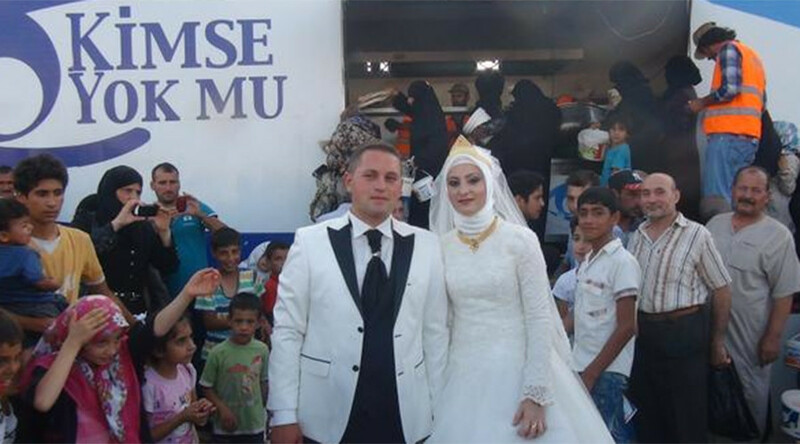 This kind couple invited 4000 refugees to their wedding.